Glitch art is an increasingly popular form of art that uses digital interference or glitches to make interesting art. In this tutorial I will be showing you how to use Audacity to edit photos as if they are sound, which can create some cool effects. You now have your image in Audacity as a sound file! Here is where the creativity comes in. 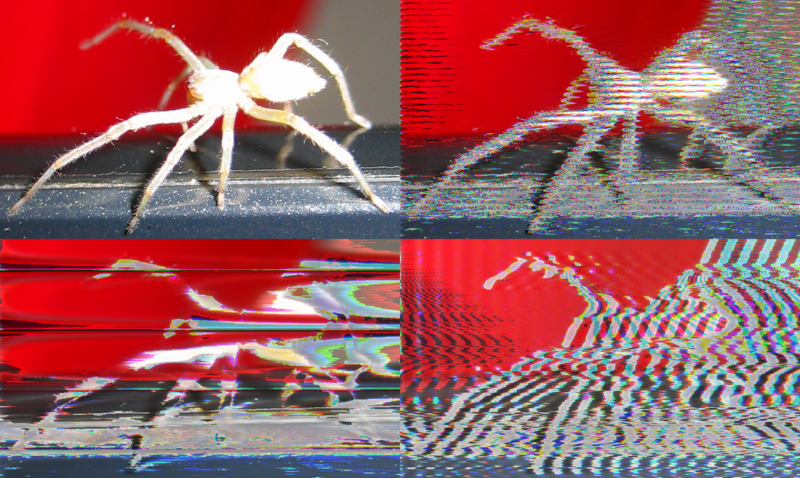 To glitch up the image, use the effect tab in Audacity and play around with different effects. Most images have a part in the beginning of the file that is needed to open the image so if you get an error trying to open the picture don’t worry; just don’t start the effect so close to the beginning next time. There should also be some noticeable sections in the waveform — these represent the different RGB colors. So if you only select one color, you can make an effect only happen to one color. Once you finish your effects, it’s time to export. This entry was posted in Operating System on March 2, 2018 by jkillingback.